Does new year mean new industry? 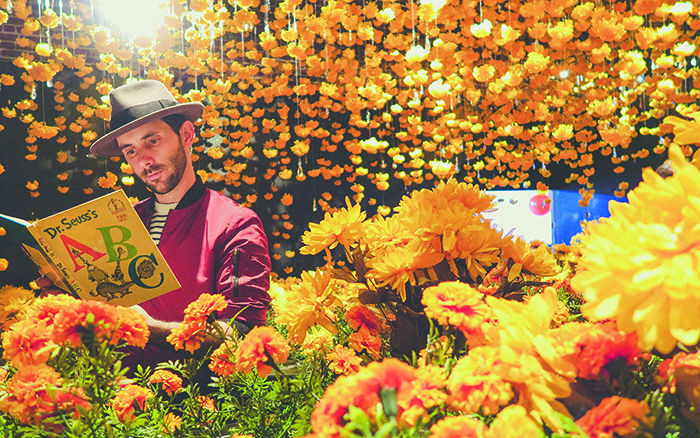 Natasha Skoryk speaks to some of the industry’s key figures to see what’s on the cards for MICE in 2019. Rick Taylor, of consulting firm The Business Tourism Company, predicts new convention bureaux appearing all over the continent. “Africa is under-performing in world MICE arrivals recording 3% of international association meetings, and 6% of international organisation and association meetings respectively, according to ICCA and UIA,” he says. He feels the reason for this underperformance is the lack of formal convention bureaux structures. “What has been missing in Africa is a comprehension of the technicalities required by Convention Bureaux as brokers of innovation in delivering the economic value and institutional legacies of MICE,” Rick explains. “South Africans have recently been made aware of the impact of climate change, through the severe drought in the Western Cape and the wild fires in these dry regions. These conditions had a detrimental impact on business tourism and events in the country, and I think this has resulted in a growing awareness of the need for sustainability,” says Justin Hawes of Scan Display. Greg McManus, chair of the Event Greening Forum, feels that it isn’t just internationals driving the move towards sustainability. “Over the past year I would say that, in some respects, local PCOs and organisations are possibly at the cutting edge of sustainable meetings practice. However, we still have some way to go with mega events to reach international standards,” he says. Clients are also driving the change. “More and more organisations are asking about their suppliers’ greening policies and practices. They want to deal with suppliers that take sustainability seriously. It’s not across the board yet but we do see it growing. Sustainability is becoming an important consideration,” says Justin. The push from clients is conspicuous. “I expect to see greater commitment to more responsible and sustainable events across the corporate sector this year. Branding and risk pressures are forcing many local companies to ensure that their public persona reflects a more responsible and caring disposition,” Greg explains. This push towards sustainability affects venues directly. “In 2019, venues such as Gallagher Convention Centre can expect a greater focus from organisers on the social and environmental impact on their events,” says Leniese van der Merwe, Marketing Manager at Gallagher Convention Centre. In 2019, event attendees will be expecting memorable experiences, not just events. “Participants want experiences and choices and to be recognised as individuals. Successful business events in 2019 will be those that offer personalised experiences,” says Pieter Swart. Pieter notes that the attempts to create such long-lasting impressions need to factor in all sensory elements. “A greater understanding of neurosciences will influence business event design, using elements that will activate sensory experiences holistically to enhance content retention through association, such as smell, taste, sound, touch, sight as well as emotional triggers to activate response,” he says. “Clients are looking for more experiential events – be it conferencing or incentive travel. We as DMCs and PCOs need to become a lot more creative to come up with interactive events for our clients,” adds Tes Proos, of Crystal Events and Incentives. At the end of the day, the move means venues and event organisers have to be more creative and sensitive to client needs. 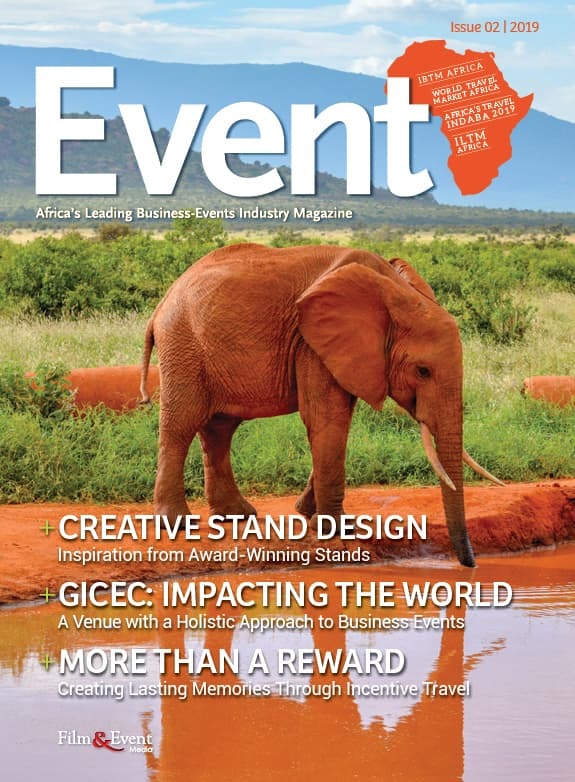 “A ‘one size fits all’ approach to the business of events cannot be tolerated as organisers and consumers have an expectation of a customised, specialised approach and offering from their venue,” says Leniese. Everyone agrees that technology will continue to be the primary disrupting force shaping the industry. “Technological advancements will continue to influence the MICE industry as connectivity remains paramount,” Leniese says. “We all know that technology is one of the most active drivers bringing change to the event industry. Augmented reality, virtual reality, artificial intelligence, projection mapping, ad-hoc apps and microsites are some of the technologies that will proliferate across the global meetings and events industry,” says Rick. What are some of the new technologies we will see in 2019? “We can look forward to robotics becoming team members such as Axela at on-site help desks and chatbots serving in call centres. Artificial Intelligence applications will continue to find inroads at business events to assist with assessments and ROI through face profiling for predictive analytics,” says Pieter. “Virtual reality maturing to find specific niches, allowing people to experience conditions for educational purposes in simulated environments that may be dangerous in reality as an example.” This trend will go hand-in-hand with an increased drive towards sustainability. “Technology and green hybrid solutions such as sustainable materials combined with Virtual Reality expo stands [will become popular],” Gary predicts. There is a dark side to the increased use of technology in eventing, and that is around tech security. “Beyond concerns about safeguarding their information from potential hackers, people are questioning what is being captured about their personal information and behaviour, how it is being used, and how it is being shared,” says Rick. This trend is not unique to MICE: as the Cambridge Analytica scandal showed us, how personal data is used is of paramount concern to almost everyone on the planet. “The rise of data ethics, which applies concepts of right and wrong conduct in relation to data, is a trend that cannot be ignored in the events industry. As technologies that capture data proliferate, it will be interesting to see if they will be balanced with a regard for these principles. The implications of this trend for event professionals are huge,” explains Rick. As event attendees arrive with ever higher expectations, content will need to shift so as to be more engaging. Pieter believes text will largely be replaced by voice, and traditional PowerPoints and stills are going to be overtaken by video formats such as animation. Rick believes event attendees will be engaged early on in the content creation process, through the use of questionnaires and involvement in identifying topics and choice of speakers. These speakers are going to be expected to perform in particular ways. “TED Talks have sparked a whole new way of presenting information, emphasising knowledge, business insight and emotional connection to the audience,” says Rick. As a result, attention is going to move away from the perceived celebrity status of speakers and focus more on their genuine engagement with their audience. An unfortunate trend noted by a range of industry players has been the move towards smaller budgets. “Budgets have shrunk across the board and we need to deliver a lot more for a lot less, so the entire industry needs to rethink how we have been doing things and come up with solutions in order to stay ahead of the game,” Tes notes. Partly, this may be the result of clients knowing exactly what they want. “Clients are a lot more savvy when it comes to setting budgets and how they are buying. We have seen a great deal more clients go directly to suppliers this past year, rather than using a DMC or PCO for one-stop-shop service delivery,” she says.